This article summarises the changes to the way in which dividends are taxed since 6 April 2016. From 6 April 2018 the tax free dividend allowance reduce to £2,000 (previously £5,000). Finance Act 2016 included legislation for major changes to dividend tax from 6 April 2016. The notional 10% tax credit on dividends is abolished. 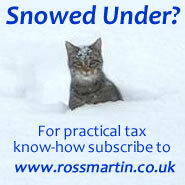 A tax free dividend allowance is introduced. £5,000 for 2016/17 and 2017/18 and £2,000 from 2018/19 on. Dividend income are treated as the top band of income. Individuals who are basic rate payers who receive dividends of more than the dividend allowance and who have not been sent a notice to file a tax return should notify HMRC of chargeability and complete self assessment returns from 6 April 2016. If you have dividend income (dividends held outside of an ISA) of less than the dividend allowance (£2,000 for 2018/19 and £5,000 for 2016/17 and 2017/18 you will pay no tax on your dividends, even if you are a higher rate taxpayer. Your dividends are covered by the dividend allowance. If your total income is less than the personal allowance, your income is covered by your personal allowance and your dividend allowance is effectively unused. If your dividend income is received through shares in an ISA, as now, these remain tax-free and the dividend allowance will not affect this income. 1. How is dividend income taxed when non-dividend income is in excess of the personal allowance? 2. What is the impact on the loss of the personal allowance at £100,000? 3. What is the impact on the High Income Child Benefit Charge? Do you LOVE our webservice? Want to unlock our subscription content? Subscribe Now. Tax queries: do you need Virtual Tax Partner® support? Paying too much tax? Need assistance in preparing your tax return? Advice on a tax efficient pay package? Create a family investment company? Any other taxing problem? Contact Virtual Tax Partner ® support.